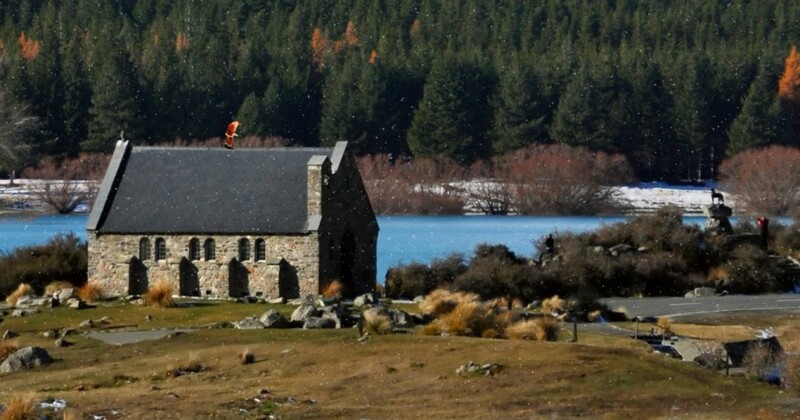 I Spot Santa’s video elf Jolly grabbed a great video of Santa Claus flying over the beautiful country of New Zealand. With all those beautiful landscapes we definitely want to visit too, but during this time of year we are too busy having fun with Santa sightings. In New Zealand it is common to have a Christmas tree in your home like you would in America. Another tradition and a yummy one at that, is a dessert made of hot fruit pudding with custard with ice cream. Doesn’t that sound delicious?